Bridal Showers can mean many different things to different brides and their families. They can be traditional and go straight by the book or outside of the norm and be a little different. 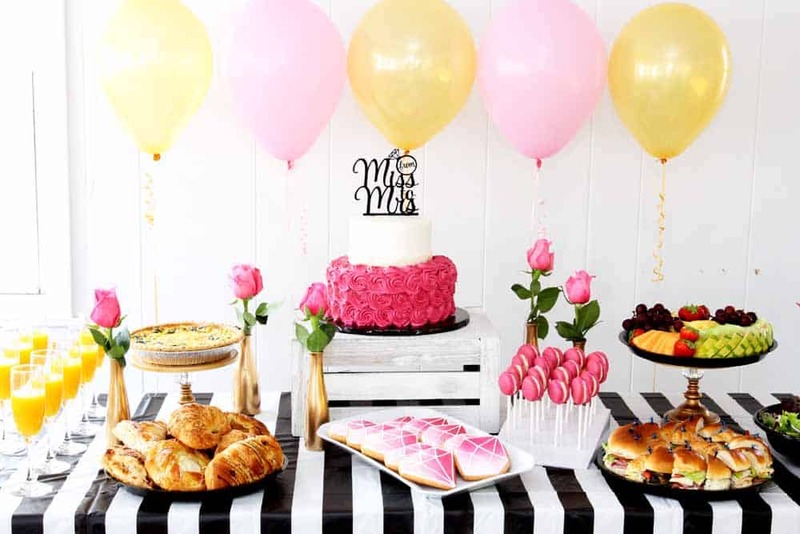 Regardless of the type of bridal shower you want to have, there are a few underlying rules that we all seem to know about when it comes to bridal shower etiquette. The only problem is, while we all may be familiar with the rules, our definition of those rules can be very different from one person to the next. There are some people who say that a bridal shower should double as a housewarming party and you should only buy household items for the bride such as cookware or bath towels. Others will say that this should be a special party with gifts strictly for the bride and meant to pamper her prior to her special day. And still there are some others who think that both types of gifts are suitable for a bridal shower. This can make it very difficult when you have a group of friends and family members, all with different views on bridal shower etiquette, planning your bridal shower party. Therefore, it is best for you to learn as much as you can about bridal shower etiquette and inform your party planners so that you can have a successful, and fun party. Although they’ve been celebrated for decades, there is some confusion as to what a bridal shower actually is. A bridal shower is meant to be a celebration held before the wedding to honor the bride-to-be. This is a chance for those who will be attending the wedding to present the bride with gifts, many of which will be used to set up her new home. Over the years, the types of gifts that the bride receives have changed and become more varied with gifts ranging from sets of dishes to nightgowns. The overall format for the party stays the same. Therefore, regardless of who is hosting the party, the bride should be sure to communicate with them so that you aren’t surprised by what’s in store for you. 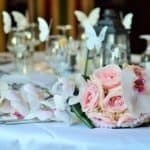 Who Should Host or Pay for the Bridal Shower? The bridal shower is usually hosted by either the bridesmaids, the bride or groom’s mother, or other female relatives of the bride. If there are no family members who are able to plan or host the party, the bridesmaids should come together to take care of the arrangements. Regardless of who may be hosting the party, you should all communicate with one another to make sure everyone is on the same page regarding the type of shower you are hosting. Like all other pre-wedding events, the guest list should only include those who are also on the wedding guest list. Usually, with a bridal shower, you will want to invite the entire bridal party, the bride and groom’s mother, the bride’s sisters, aunts, any close female cousins, and grandmothers. The list should also include any close female friends of the bride. The number of guests depends on how large the event is expected to be. If the shower is meant to be a surprise to the bride, the mother of the bride and the maid of honor should come together to take care of most of the planning. They can come up with a guest list that the bride will be pleased with. If the party isn’t meant to be a surprise, the bride can always assist with the guest list. When Should the Bridal Shower Be Held? A bridal shower is usually held between three months and two weeks before the wedding. You should choose a date that is convenient for the bride and the guests of her choice. You may need to host the party farther in advance than you anticipated. Make sure that the event doesn’t take place too close to other important events linked to the wedding or general occasions such as holidays or birthdays. Regardless of what date the party is on, make sure that the bride has already started a wedding registry before invitations are sent out to guests since this is the ideal time to let others know about it. The invitations should be sent out between four to six weeks before the shower is scheduled. They can be sent out either by post or email. Make sure that you include the bride’s name, the date of the shower, the time and the location, as well as the bride’s registry information, how to RSVP, and the names of the person who is hosting. 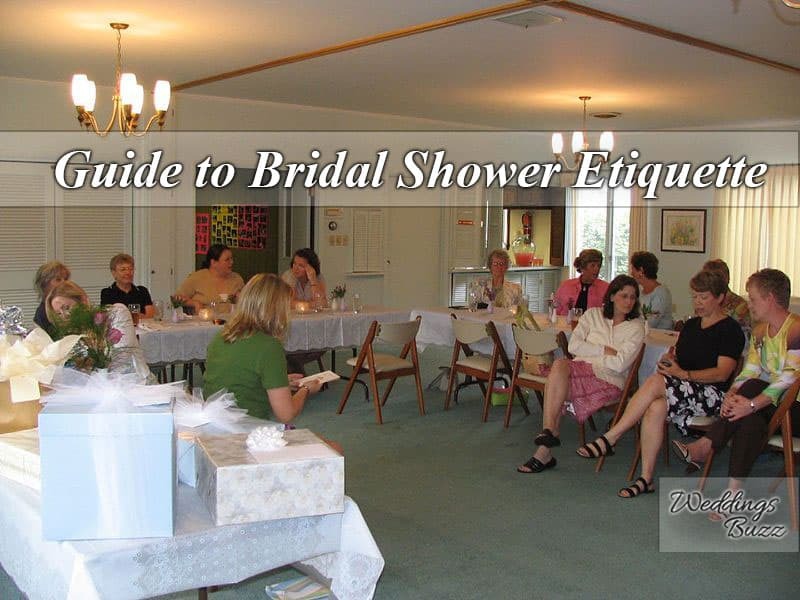 Doing so will show that you are practicing proper bridal shower etiquette. Where Should the Bridal Shower Be Held? If the bride still lives close to home, the shower can be held in her hometown. If she lives in a different state, it may be convenient for the guests for her to travel for her shower where most of her guests currently live. This makes more sense than asking the entire guest list to travel for the shower. The specific location depends on the type of party that is being held and the host’s budget plan. It could be inside the home of a friend and family member, or in the backyard. It could also be held at a local restaurant or community center. You could also get creative and host the shower at a wine tasting room or another fun place that the bride enjoys to visit. The basics of a bridal shower are basically the same no matter what the overall theme of the party may be. You will serve food such as party appetizers and beverages, add in a few games, and then the bride will open her gifts. You can go with traditional games such as designing wedding dresses out of toilet paper or sharing funny stories about the bride or you can plan a fun activity for the bride and her guests such as a spa day or a visit to the nail salon. If the bride doesn’t love the idea of opening up her gifts in front of everyone, she should let the host know. It isn’t against bridal shower etiquette to set the gifts aside to be opened after the party. This will also give everyone more time to enjoy each other’s company. There doesn’t have to be a theme for a bridal shower but, at the same time, there is nothing wrong with having one as long as that is what the bride wants. You can host a bridal theme party, wine tasting party, a makeover party or something that is Disney-themed. As long as you know it is something the bride will love, there’s no reason why you shouldn’t do it. Should There Be a Bridal Registry? There doesn’t need to be a separate registry for the bridal shower. The bride can choose to use her current wedding registry or if the guests are expected to bring lingerie as gifts, she can either create a separate registry or trust the judgement of her close friends and family to pick out something they think she would like. Should a Bride Getting Married a Second Time Have a Bridal Shower? Many people wonder if it is considered good bridal shower etiquette for a divorced bride to have a second bridal shower. While some who are strict with traditions think it’s inappropriate, many brides have a second wedding shower and their guests think nothing of it. If you are a bridesmaid and are wondering if you should host a bridal shower for a second wedding, have a conversation with the bride about it to see how she feels and go from there. Should a Bride Who Is Already Living in Her Own Home Have a Shower? This is another area where bridal shower etiquette comes into play. Since bridal shower gifts are no longer limited to home goods, it’s perfectly fine to have a shower for a bride who has her own place or one of has been living with her fiancé for quite some time. 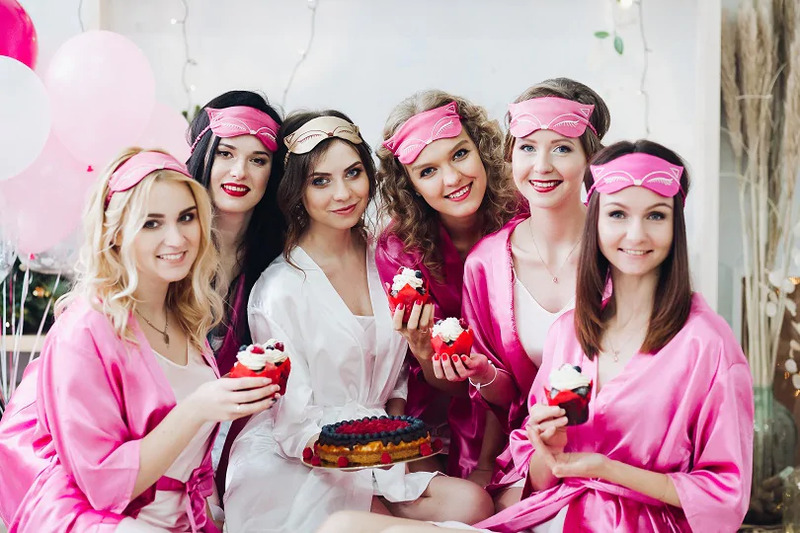 This is the perfect opportunity to host a theme party and have guests bring a gift that is appropriate to the theme such as nightgowns, spa-day items, jewelry, wine and snack sets, gag gifts, or anything else that you can come up with. If you are planning a bridal shower for a bride-to-be, take these tips into consideration. It may be fun to plan a fun party with her best friends that includes games, embarrassing stories and adult-themed gifts.